AS FEATURED in the underground hit movie, "The Secret", the Law of Attraction has quickly become a working tool in the everyone's survival kit. Many are hoping to attract increased wealth, improved health, better relationships - and some have succeeded. However, there are secrets which aren't commonly known, hidden in books long out of print since the last time this Law was popularly discussed. And these traced to even older books than those. A careful search has uncovered these classics and traced them back to the most ancient texts yet uncovered. The idea and purpose behind this series is to make these classics again available so that you can study and understand the principles at work in this Universe. This single volume was produced from one of these classics for your immediate use - starting today. 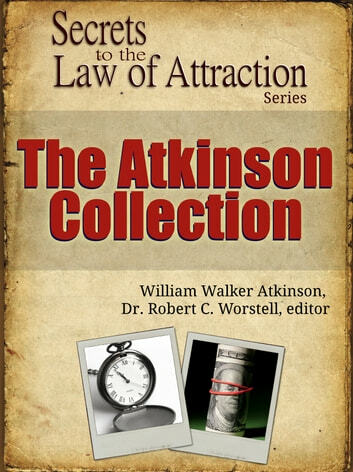 This book contains works from a mostly forgotten classic by William Walker Atkinson, who was a prolific author and editor during the 1920's in Chicago. He used the secrets discussed in his book to cure his own illness and learned how to have both success and happiness for the rest of his existence. 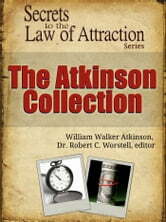 With this collection of 3 books long out of print, Atkinson presents these secrets to you easy-to-follow lesson series. Edited for readability on tablets, e-readers, and even smartphones, this book - and its secrets - are now again made available for download and use. Learn from this Law of Attraction master - and improve your life in ways you can only imagine!